Despite struggling down the stretch last year, Eagles coach Chip Kelly emerged this offseason with even more power over the football operations. Chip Kelly’s two-year tenure with the Eagles has been nontraditional from the start, what with his college-like offense, personalized fruit smoothies for players, sports science data tracking during practice, and the 10-12 hours of sleep he demands from his players each night. This year, we’ll see if he really knows what he’s doing. 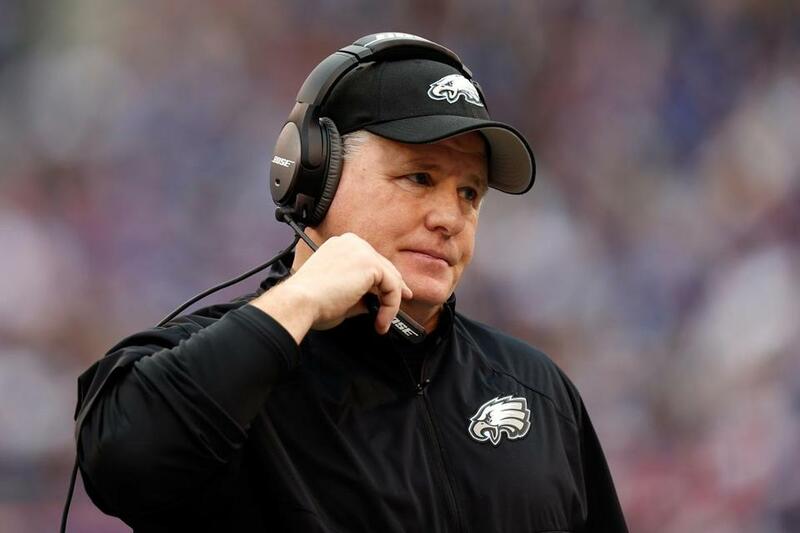 Kelly and the Eagles missed the playoffs in 2014 after going 3-4 down the stretch, yet Kelly emerged from the pile with even more power over the football operations. Kelly gained the title of director of player personnel, giving him full control of the roster and the draft process, while former general manager Howie Roseman was reassigned to the role of executive vice president of football operations. While the Eagles tried to smooth out the awkwardness by couching Roseman’s move as a promotion, the Philadelphia Daily News noted last week that Roseman’s office was moved from the football side to the business side of the Eagles’ facility, personifying the power shift. It’s Kelly’s show now, and he’s taking a scorched earth policy toward the Eagles’ roster — specifically, to pretty much any player affiliated with the Andy Reid/Joe Banner era that ended after the 2012 season. Kelly started asserting his authority last year with the surprising release of receiver DeSean Jackson. This offseason, he’s taking a blow torch to the roster. Already he has released the veteran leader of his offensive line (Todd Herremans), one of his best edge pass rushers (Trent Cole), and two other veterans (tight end James Casey, cornerback Cary Williams). Cornerback Bradley Fletcher and safety Nate Allen are expected to walk in free agency — the Eagles could have four new starters in the secondary next season — while receiver Jeremy Maclin may not return in free agency, and linebacker and defensive captain DeMeco Ryans is in serious jeopardy of getting cut. And in the most seismic move, Kelly will trade star running back LeSean McCoy — the NFL’s No. 3 rusher last year at 1,319 yards — to Buffalo on Tuesday when the trading period begins. And Kelly didn’t get a ransom in return, just third-year linebacker Kiko Alonso, a promising player when healthy but one who missed all of last year with a torn ACL. Oh, and we haven’t even mentioned the possibility of quarterback Nick Foles losing his job when Kelly packages multiple draft picks to trade up and select Marcus Mariota, as the popular theory goes. Kelly’s plan, it seems: clear a ton of salary cap space and collect as many former Oregon Ducks as possible. Alonso makes the ninth former Duck on the Eagles’ roster, the most players from one college on an NFL roster. If you’re an optimist, you believe that no one understands Kelly’s up-tempo offense better and can run it more efficiently than his former college players (hence the Mariota rumors). If you’re a pessimist, you point out that collecting a bunch of ex-Florida Gators didn’t help Steve Spurrier too much in Washington a decade ago. But there has been plenty of sound football and financial rationale behind Kelly’s moves thus far. A few of the releases were aging veterans who are likely on the downswing of their careers (Herremans, Cole, McCoy). And many of the major changes are coming on the defensive side, where the Eagles ranked 22d in points allowed and 28th in total defense in 2014. As for McCoy, he wasn’t the best scheme fit for Kelly’s zone-blocking run game, hesitating in the hole too often. Kelly didn’t use McCoy as much in the red zone last year (just five touchdowns), and of the top 10 rushers in the league, McCoy’s 4.2 yards per carry were the lowest. Add in McCoy’s paltry 5.5 yards per reception and six years of wear and tear on his body, and the trade makes a lot of sense. Kelly wants a powerful, decisive runner who will hit the correct hole without freelancing. And the Eagles now have a ton of salary-cap space — more than $40 million, plus another $6.9 million if Ryans is released. That’s more than enough for the Eagles to remake the roster in Kelly’s image, and already they have been linked to two of the top free agents expected to be available: Seahawks cornerback Byron Maxwell and Patriots safety Devin McCourty. Trading McCoy to Buffalo was a huge victory for Kelly. Not only did he get in Alonso an athletic linebacker he can plug into the middle of his defense, but he shed McCoy’s ridiculous contract ($10.25 million in salary and bonuses) and cleared about $7.75 million off the salary cap. Herremans, speaking on Philadelphia radio last week, said Kelly doesn’t worry about losing big fantasy football names such as McCoy, Jackson, and Maclin. Kelly doesn’t speak much — he hasn’t spoken publicly once this offseason, and was one of three head coaches to avoid a news conference at the Combine — but his actions alone make him one of the boldest, brashest coaches in the NFL. The question is, does he know what he’s doing? Eagles owner and Newton native Jeffrey Lurie certainly believes so by giving Kelly ultimate authority over the roster. And if 2015 doesn’t work out as planned, Lurie has an impressive history of sticking by his head coach — he has hired only three (Ray Rhodes, Reid, and Kelly) since buying the team in 1994. But is Kelly smarter than everyone else or just another college coach who can’t replicate his success in the NFL? His genius will certainly be put to the test in 2015. The NFL free agency period opens at 4 p.m. on Tuesday, headlined by Ndamukong Suh, DeMarco Murray, Julius Thomas, C.J. Spiller, Randall Cobb, Mike Iupati, and Greg Hardy. Already we’ve seen a decent amount of player movement — Brandon Marshall to the Jets, the Bills acquiring LeSean McCoy and Matt Cassel — but this week promises to have a lot of action, with signings, releases, trades, and retirements. ■ Expect the Jaguars and Raiders (more than $60 million in salary-cap space each) to be incredibly busy in free agency, especially at wide receiver. The Jets have about $45 million in cap space after the Marshall trade, the Colts are over $40 million, the Buccaneers and Falcons are over $30 million, and the Bills and Bears are right around $30 million in cap space. ■ Suh is the prize of free agency, and while his first visit is reportedly with the Raiders, the Dolphins are considered the early favorites to sign the disruptive defensive tackle. Owner Stephen Ross once again needs to make a big splash in free agency to boost confidence and ticket sales, and he has given Mike Tannenbaum the green light to open up his checkbook to get Suh. Several teams should be interested in Suh, including Jacksonville, Indianapolis, Atlanta, and Detroit, but one aspect working in Miami’s favor (and Jacksonville’s) is the lack of state income tax in Florida. Playing in Florida could save Suh an extra $3 million-$4 million on a $100 million contract over states such as Michigan (4.25 percent state income tax) and Georgia (6 percent), and an extra $7 million over playing in California (13.3 percent). ■ Cassel and Josh McCown (Browns) are off the board, depleting an already unimpressive list of free agent quarterbacks, including Brian Hoyer, Mark Sanchez, Jake Locker, Ryan Mallett, Michael Vick, Matt Moore, Jason Campbell, and Colt McCoy. The Rams, Titans, Texans, and Jets need to sign a veteran (Houston wants to re-sign Mallett), while the Eagles need to figure out what they’re doing with Nick Foles, and the Browns might need to sign another veteran behind McCown given the uncertainty with Johnny Manziel. ■ The Bears also need to figure out what to do at quarterback, and quickly. If Jay Cutler is on the roster on Thursday, his $15.5 million salary this year and $10 million of his salary next year becomes guaranteed, meaning the Bears are likely stuck with him for two more years. A trade with the Titans or Rams makes sense, although the Rams say they’re standing by Sam Bradford. ■ Former Jaguars running back Maurice Jones-Drew announced his retirement on Thursday after nine seasons, and expect longtime Steelers safety Troy Polamalu to do the same soon. The Steelers would rather Polamalu retire for cap purposes and to avoid an awkward cutting. The field has been set for the March 15 vote for the NFL Players Association’s executive director position, and a whopping eight challengers received the necessary three nominations from the 32 player representatives to challenge incumbent DeMaurice Smith for the job: Michigan attorney Jim Acho, NFLPA senior executive Jason Belser, former defensive tackle Sean Gilbert, former safety Robert Griffith, agent/player representative Rob London, former NFLPA attorney Arthur McAfee, attorney Andrew Smith, and retired Navy admiral John Stufflebeem. The NFLPA has never had an election like this in its 45-plus years. Gene Upshaw held the position for 26 years and always ran unopposed. The one time there was an election was in 2009 after Upshaw’s death, when DeMaurice Smith beat out Troy Vincent, Trace Armstrong, and David Cornwell for the position. The nomination of eight challengers shows that NFL players are unhappy with the direction of the NFLPA and the collective bargaining agreement signed in 2011. How unhappy, though, remains unclear. While a candidate needs three nominations from the 32 player reps, one player rep can nominate as many candidates as he wants, so it’s possible that a small bloc of players is nominating several of the challengers. And if the players want change, having eight challengers on the ballot might not be the best way to go. The winner needs a simple majority — 17 of 32 votes — and the challengers might cannibalize themselves, leaving DeMaurice Smith as the last man standing. If no simple majority comes on the first vote, the lowest vote-getter is eliminated each round until one candidate eventually gets 17 votes. So it was interesting to read in USA Today on Friday that several of the candidates are forming alliances with each other. Acho said he is working with Stufflebeem and Andrew Smith and that “If I were to get in, I would bring them in, and vice versa,” he told the newspaper. Stufflebeem also is aligned with Belser, who is leading a mutiny of sorts as he tries to overthrow DeMaurice Smith, his current boss. “In my view, it is more important that De Smith is changed out than it is for me to win,” Stufflebeem said. 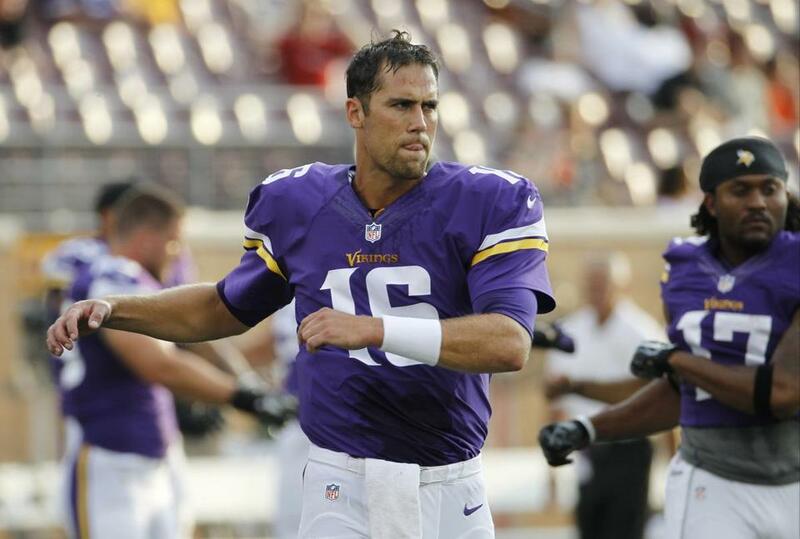 The Bills used a pick acquired late in the 2014 draft to trade for Matt Cassel. The third day of the NFL Draft, consisting of Rounds 4-7, can be tedious and sleep-inducing, but you never know which minor moves will become significant. This one from last May’s draft qualifies: The Buccaneers get the Bills’ fifth-round pick at 149 overall. In exchange, the Bills get Tampa’s seventh-round pick at 221 overall and the Bucs’ fifth-round pick in 2015. Well, the Buccaneers went 2-14 last season, and that 2015 pick is now the No. 1 pick in the fifth round. And the Bills were able to use that pick as ammunition to land Matt Cassel in a trade that will be executed this week — Cassel and a sixth-round pick to Buffalo for that fifth-round pick plus a seventh-rounder.